Feeling the heat of late spring settling in? Between Kirk and Walker the past 2 weeks have been sore throats and the croup….which with the heat waves…really called for a cold drink! Add the ingredients to a high-speed blender, process on high until smooth. Serve immediately with whip cream on top, and wide straws. Wow all of those smoothies look so good! 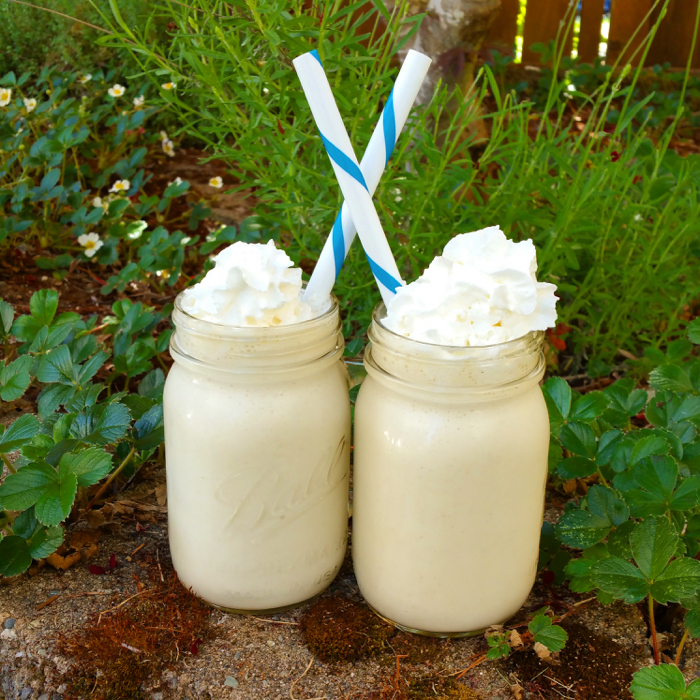 These milkshakes look absolutely delicious!